This holiday season, wrap your gifts a little differently! 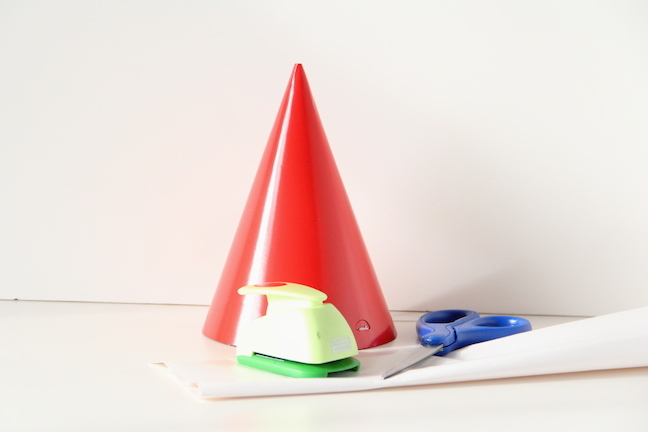 These party hats turned gift wrapping are so easy and a lot of fun to receive. They would make great holiday party favors too! Step 1: First, cut off the elastic string that makes this a party hat. 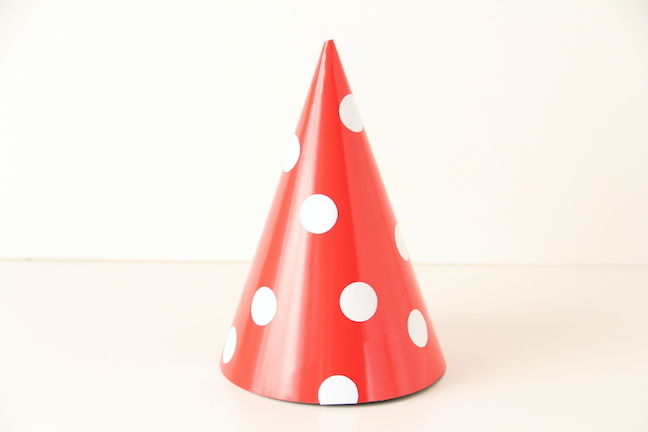 Or keep it on and your gift wrap suddenly becomes a hat for your party! 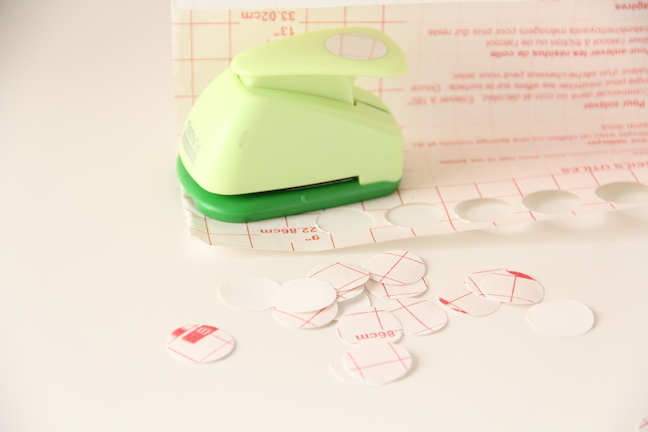 Step 2: Next, take your hole punch and punch out some polka dots from your contact paper. 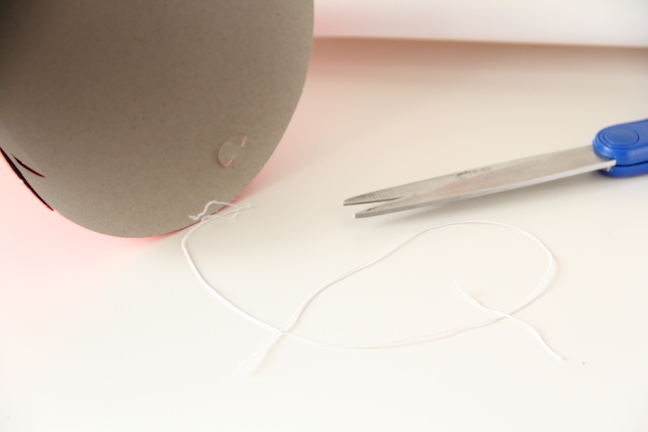 Step 3: And finally, peel the paper backing off of the contact-paper polka dots and stick them on! 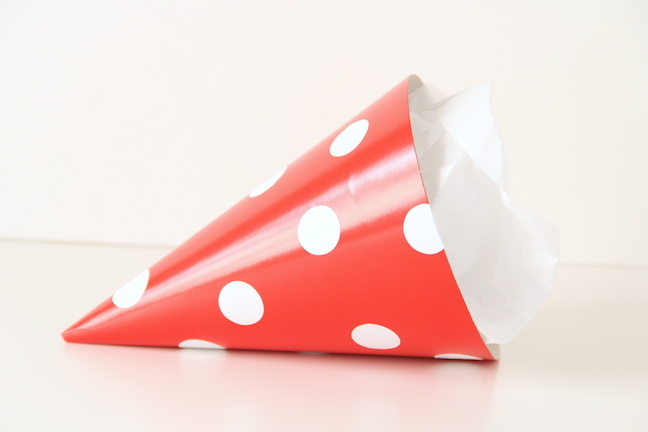 Now you’re ready to stuff the cone with little gifts and top it off with tissue paper!